On this page, you will find all there is to know about the Software updates for Stone Shire (released on May 21st, 2015 in North America, and August 27th, 2015 in Europe). 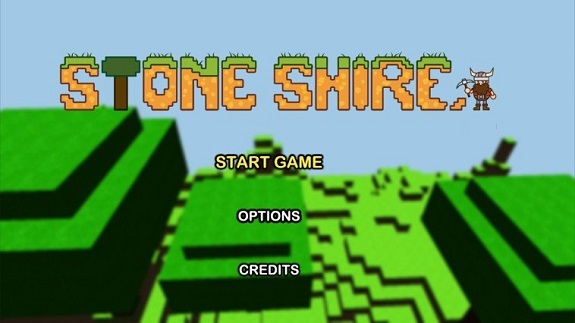 if not, you can launch Stone Shire from the Home Menu (important: not the Quick Start Menu! ), while being connected to the internet, in order to trigger the download manually. Just wait a few minutes, and the update will be downloaded and installed. To check that you have the latest version installed, simply launch the game: you should see the version number just below the title, on the title screen (in that case: Ver. 1.2.1). Fixed a bug where players were falling through the world when they attempted to set down a block in the same space that they were standing. Fixed a bug where the music was warping and glitching out. Fixed a big where the torch sound effect was always playing on the TV no matter the mode it was in. Notes: update is currently being released, and may not be available in your region just yet.